My name is Marla and I am the office manager. I joined Dr. Wicorek's team in 2005. My background is in retail management, where I worked for JC Penney for 34 years. I graduated from CSULB with a Bachelor of Science Degree in Business Management.I am married and in my free time I enjoy golfing, running, scrap-booking and traveling with my husband. My name is Gina. I graduated from USC School of Dentistry in 1973. I have been a member of Dr. Wicorek's team since 1999. I enjoy getting to know my patients and helping them to understand their dental needs. I like to do research on products and to learn about advancements in the dental field. I am married to my best friend and husband, John. Blessed with 5 unique & wonderful children, 7 grandchildren and a crazy dachshund named Porter, who thinks he's a very large dog. I enjoy traveling, spending time with my family & friends, shopping, going to movies and reading. Oh, and I love USC football. GO TROJANS! My name is Kaylee and I am the office's RDA. An RDA is a registered Dental assistant. I went to Long Beach City College for two semesters before transferring to Cerritos College to enter the Dental Assisting Program. While at Cerritos College, I also did 3 internships. One of these internships was attending USC for a semester, where I learned to work with dentists in all fields and perfect my skills as an assistant. The second internship was at an orthodontic office in Los Alamitos. The last one was here at Dr. Wicorek's office. I have been working here for over 8 years and couldn't picture myself anywhere else. In my free time, I enjoy spending time with my wonderful family and my friends. In the future, I would love to go back to school and further my education in dentistry. I have been a Registered Dental Hygienist for 35 years, graduating from Cerritos/UCLA Dental Hygiene Program in 1975. I have a B.S. degree in Zoology from CSULB and was a member of the Delta Gamma sorority. I am married to a police officer, now retired, for 32 years. Together, we have 2 daughters, aged 25 and 23 and a son 20, a student at USC. I love movies, reading, gardening and our golden retriever. Hello, my name is Nicole Pelc. I graduated from UC Berkeley with a degree in Integrative Biology and went on to obtain my degree in Dental Hygiene from Cerritos College. I love working with my patients and helping give them a reason to smile! In my free time, I enjoy hiking, traveling, running, yoga, and cooking new recipes for my friends and family. After many years working with Kindergarten through 8th grade child care programs, and then a time as a stay at home mom for my own daughter, I returned to school. I graduated from the Dental Assisting program at Cypress College with an Associates of Science degree in 2015. 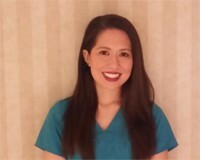 While in the Dental Assisting program, I completed an internship at a General Dentistry office in Seal Beach, and a Specialty internship at the Children's Dental Health Clinic at Millers Children's Hospital in Long Beach. Since then I have earned my Registered Dental Assistants license and Orthodontic Assistant permit from the Dental Board of California, along with my Certified Dental Assistant License from the Dental Assistant National Board. After college I worked at a Pediatric/General Dentistry office in Huntington Beach. I am now happy to work with the great staff and patients here at Dr. Wicorek's office. When I am not working, I enjoy reading, crocheting and spending time with my daughter sharing our love of the ocean.